Starting last year and heading into the year 2016, we will be bombarded with tons of sci-fi films. This is great news, people. We have seen a treasure trove of this great genre with big action blockbusters that cost upwards of $200 million and some more meager projects that cost less than a tenth of that budget, while still maintaining decent visual effects and sci-fi story lines. I could start listing some of these movies, but I’d be here for a few hours. Whether these current sci-fi films are good or bad, we are still receiving excellent characters and story arcs that dare us to think and dream. 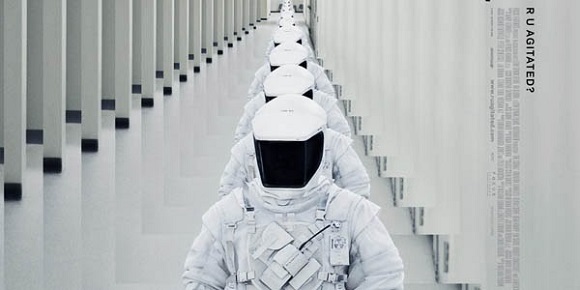 That brings us to this small film called ‘The Signal‘, which had a one-hundredth of a $200 million dollar budget, and proved that it could hang with the biggest and best of the science fiction genre. This is one of those rare movies that kept me guessing and left me on the edge of my seat for its complete 95-minute run-time. Director and writers William and Carlyle Eubank have concocted a great script that gives us a fresh and unique taste of the new generation of sci-fi filmmakers. I have no doubt that William Eubank will have a successful career after this release. Nic and Jonah (Brenton Thwaites and Beau Knapp) are MIT students who are on a road trip with Nic’s girlfriend Haley (Olivia Cooke), as they are taking her from Cambridge to Caltech. These students are very computer savvy and are in an online fight with a hacker named Nomad, who recently hacked into MIT’s servers, caused trouble, and blamed it on our three travelers. Jonah figures out where Nomad is hiding out and convinces Nic and Haley to travel to the desert in Nevada to confront him. They arrive at a run down house in the middle of nowhere with home video cameras and flash lights to investigate the house, which is where this film switches to an all out horror film that actually scares. Before they find real clues, strange things start to happen and we see Haley pulled up into the air and the screen cuts to black. Nic then awaits in a hospital with silent men in hazmat suits observing and watching his every move. Dr. Wallace (Laurence Fishburne) enters in his hazmat suit and begins to talk with Nic who is unaware of what happened and where he is. He can’t feel his legs and does not have full strength, but he demands answers. Dr. Wallace vaguely addresses his questions and tells him that he and his friends have encountered an EBE (Extraterrestrial Biology Entity), and that he is being held in this secret facility for his own good, as the outside is extremely dangerous. Much like us, Nic does not believe a word he says and begins to figure out an escape route and find Jonah and Haley, only to find his surroundings and doctors becoming stranger and stranger by the hour. The Eubank’s keep the suspense and questions flowing throughout, only giving us the tiniest of hints along the way as to what’s really happening on screen. The final act of the film reveals that the Eubanks know how to tell a great story with excellent visual effects on a very small budget, as this little movie goes from art-house indie flick to big Hollywood action film. It’s done flawlessly and leaves us wanting more with a few of the film’s big reveals. Veteran actress Lin Shaye provides a wonderful cameo as a religious woman who hears voices in the sky and is losing grip on reality by the minute and Brenton Thwaites is one young actor to watch out for in the coming months. 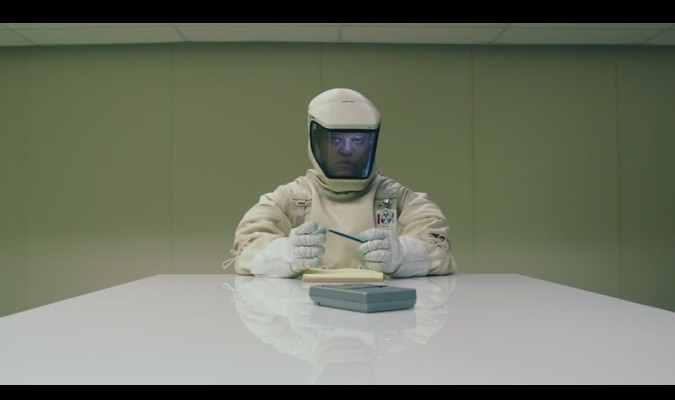 ‘The Signal‘ is hands down the best Sci-Fi film I’ve seen in the past decade. This entry was posted on Tuesday, June 10th, 2014 at 11:22 am	and is filed under Film, News. You can follow any responses to this entry through the RSS 2.0 feed. You can skip to the end and leave a response. Pinging is currently not allowed. « Podcast #36 – Pitch Your Own Reality Series! !